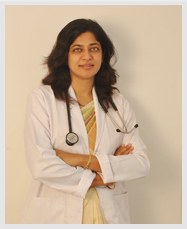 Dr Sowmya Dinesh(MBBS, MS, MRCOG (UK), Visiting Fellow, KKWCH (Singapore)).has a unique combination of skills in Endoscopic Surgery, Ultrasound and Infertility Management which is a must for Optimum management of an infertile couple. Her areas of interest include Infertility Management, Endoscopic Surgery, Tubal Recanalization and Gynaec Ultrasound. 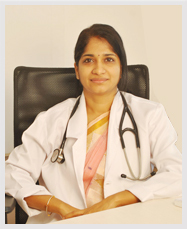 MBBS:Graduated from the prestigious Mysore Medical College in 1997. Ultrasound Training - 2003: Foetal Institute of India: Received Formal Ultrasound Training at FFI, Bangalore under Dr Ramamurthy B S.
Active Member of Federation of Obstetricians and Gynecologist's of India (FOGSI), Has Organised many State level conferences and Endosurgery Workshops. Invited Faculty in many state and National Conferences. Dr. Yogitha Sanjay (MBBS, DGO, Consultant Fertility Specialist, Embryologist (Queensland Uni., Australia)). Worked as a consultant and received training in ART and Embryology at Santasa Hassan. Received Embryology training from Queensland Uni., Australia at Glenagle's Hospital, Singapore.